The Kruger National Park is the flagship of the South African national parks and has been rated as one of the best wildlife parks in Africa, renowned for its incredible game viewing and Big 5 safaris. The best way to experience this untamed African bush is to get your feet on the ground and explore the magnificent region. The Kruger National Park offers an abundance of wildlife including approximately 507 bird species, 147 mammals as well as bushman rock paintings and archaeological sites like Masorini and Thulamela. Apart from Big 5 game drives, guests can also enjoy bush walks, night drives, sleep-outs under the stars, bird-watching and off-road game drives in private areas of the Greater Kruger area. There are numerous private reserves bordering the Kruger National Park as well as private concessions within the national park. Within these private areas are safari lodges to suit all travellers and all budgets. Some of the best game viewing areas of the Greater Kruger Park are in the private concessions that share unfenced borders with the park, so wildlife flows freely between them. 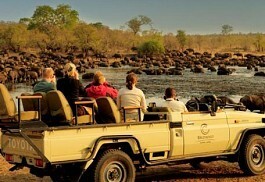 In these concessions, guests are taken on exciting off-road game drives and guided walks in the bush. The most well known of these private reserves in the Sabi Sand, where phenomenal leopard sightings happen! 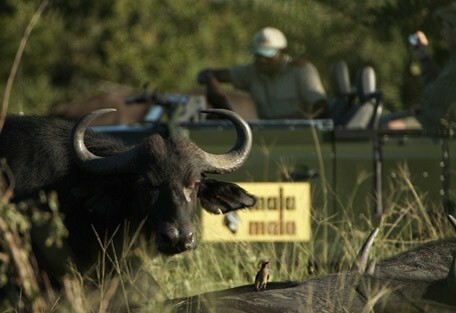 North of Sabi is the Timbavati Game Reserve and Klaserie Private Nature Reserves. 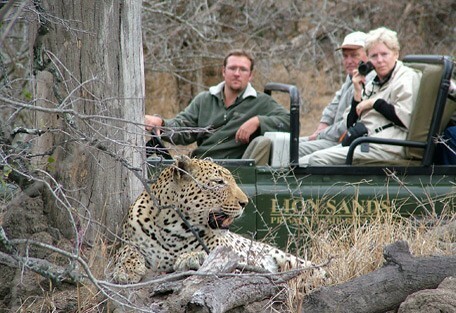 The Manyelti Game Reserve links Sabi and Timbavati, allowing game to move freely between these havens. Kapama Private Game Reserve and Thornybush Bush Game Reserve are fenced reserves bordering the Timbavati, with pristine bush and fantastic wildlife. View our Kruger Area Map to see all the private reserves and lodges available in the Greater Kruger! 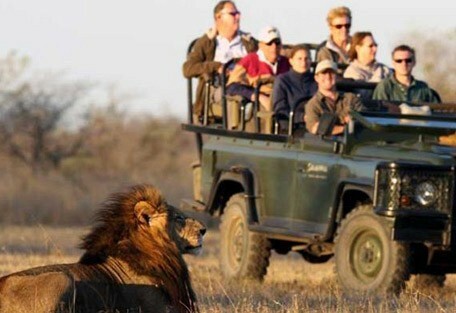 The Kruger National Park has various private concessions within its borders. Within these private concessions you can visit various safari lodges that offer the traditional Big 5 safari, conducted by expert guides. 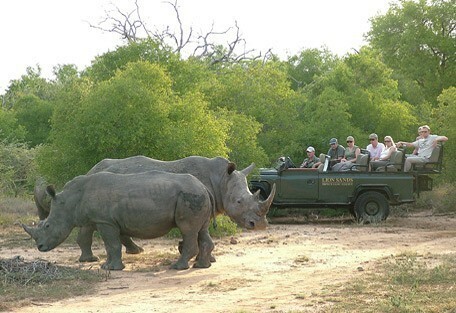 The Timbavati Game Reserve consists of a group of private game farms and reserves. There are no fences between this reserve and the Kruger Park, yet lodges are privately owned and managed offering an all-inclusive safari experience. 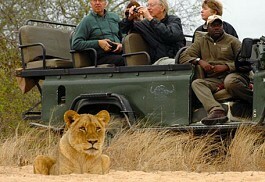 The game viewing in the Kruger National Park is phenomenal. The park is regarded as one of the best wildlife destinations in Africa; home to the Big 5 - lion, leopard, elephant, buffalo and rhino - as well as an abundance of general game, like the ever-present impala, zebra, and giraffe. 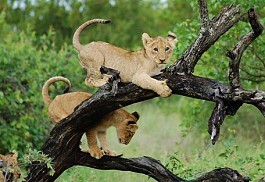 A whole variety of smaller predators, feline and canine, as well as nocturnal critters, call the Kruger home. Highlights include leopard viewing, particularly in the Sabi Sand, as well as off-road game drives in the private concessions, like the Klaserie. Impala are the most abundant antelope, with common waterbuck and grey duiker seen on a regular basis. Greater kudu, bushbuck and nyala prefer thickets and riverine forest, whilst buffalo herds graze in tall grasslands. Waterholes attract elephant, white rhino, giraffe and warthog and many other wildlife species during the dry season. The park offers a unique and unspoilt region promising a traditional African safari experience. 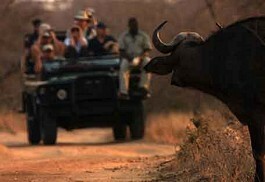 Walking Safaris are popular in the Greater Kruger. 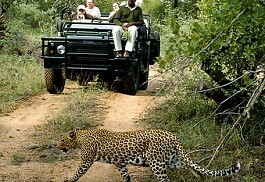 These range from a full walking safari in Kruger to a short walk after breakfast. Your guides will share their knowledge from animals, trees, grasses, insects and birds to the medicinal uses of plants, folklore and basic tracking and survival skills. 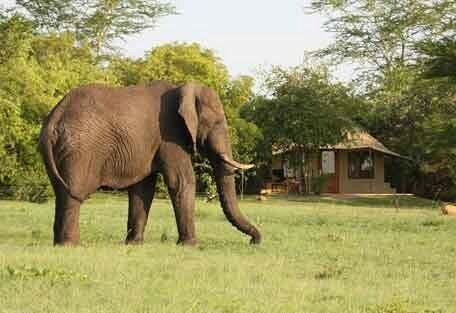 The longer walking safaris take guests out after breakfast for a walk and again in the afternoon. The walking is interspersed with a game drive and often guests will walk from one camp to another for a “sleep-out” in rustic tents. Walking safaris can be found at Africa on Foot in the Klaserie Private Nature Reserve and Rhino Post Safari camp, located in a private concession in the Kruger National Park. The Kruger Park is a year-round destination! 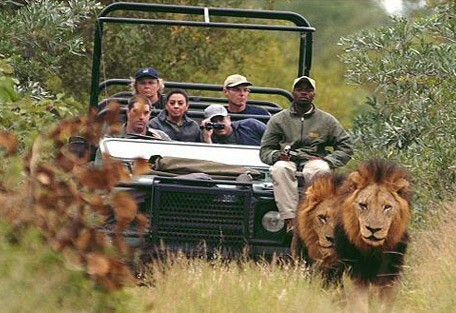 For game viewing, the best time to go is during the South African winter. During winter the bush thins out, water becomes scarcer and the animals concentrate their activities closer to the waterholes, thus making it easier to see more. However, during summer you will get greener scenery and also the chance of seeing more of the antelope, zebra, buffalo etc give birth as well as the big cats and their cubs. 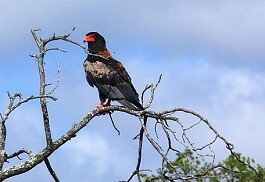 The migratory birds start arriving for summer making the Kruger a bird lovers paradise! The area is subtropical with hot rainy summers and startling thunderstorms starting in October and ending around March. The dry bushland comes to life after the rains but game becomes harder to see as numerous waterholes fill up and the foliage becomes thicker. April to September are the cooler winter months which have lovely warm days but cold nights. Traditionally, the best game viewing is in winter as the vegetation becomes sparse and water is restricted to rivers and artificial waterholes. After visiting the Kruger on numerous occasions, as well as having arranged hundreds of safaris for guests from all over the world, we believe we are well qualified to advise guests where to go on safari. 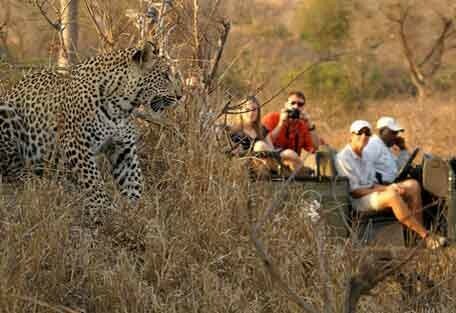 So in a nutshell, below are the best safari options in the Kruger. Our favourites are Africa on Foot and nThambo Tree Camp as well as Umkumbe Safari Lodge, which offer excellent and affordable safaris. Arathusa Safari Lodge and Simbavati River Lodge are slightly more expensive and also offer guests wonderful wildlife experiences. 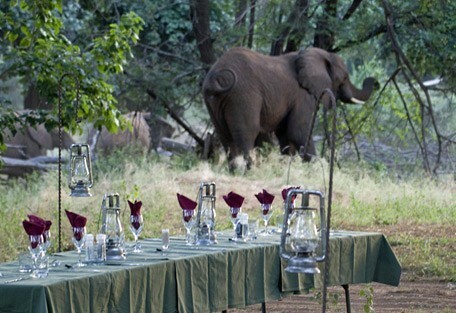 The Greater Kruger has a wonderful luxury safari offering. 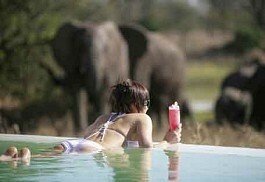 Some of the best luxury options in our opinion are Simbambili Game Lodge and Lion Sands River Lodge. Both safari lodges offer the classic luxury safari experience in the Sabi Sand. Londolozi Varty Camp is one of the oldest and best lodges in the Kruger. Ulusaba Rock Lodge is an opulent offering with fantastic views, To top the lot are Lion Sands Ivory Lodge and Singita Lebombo, which are two of the most luxurious safari lodges in Africa and regularly win awards from the likes of Conde Naste. 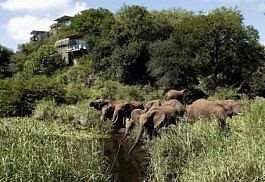 Award-winning Sabi Sabi Earth Lodge is in the forefront of eco-friendly safari experiences. 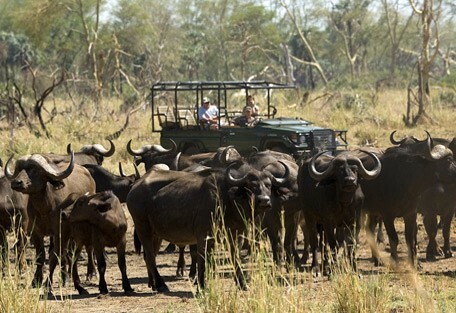 The Kruger Park is accessible via either self-drive from Johannesburg or surrounding areas directly to the lodge; fly into the closest airports and then a short road transfer, or fly in directly to the lodge airstrips from Johannesburg Airport. There are daily flights from Johannesburg International airport (O.R. Tambo) to Hoedspruit Airport, Skukuza Airport and Kruger/Mpumalanga International Airport (KMIA) located between Nelspruit and White River. There are also direct flights between Cape Town and Hoedspruit, Skukuza and Kruger Mpumalanga creating an easy link to the Mother City. There are 3 ways of getting to your camp from any of the above airports. You can road transfer, light air transfer or self-drive. Depending on your lodge’s location, a road transfer can take between 45 minutes to 3 hours. An air transfer can take between 20 minutes to 1 hour and is from Skukuza, Kruger Mpumalanga as well as from Johannesburg directly into the private landing strip of your lodge. You can pick up rental cars from either of Hoedspruit, Skukuza and Kruger Mpumalanga and self-drive from there. All the Kruger safari lodges are accessible via self-drive with a sedan rental car from anywhere in South Africa. Obviously, the drive time depends on where you are driving from! To self-drive from Johannesburg will take 6 hours. 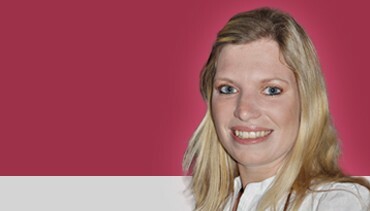 There are also daily shuttles from Johannesburg to the Greater Kruger area. Guests wanting to explore Victoria Falls now also have a daily flight from Kruger Mpumalanga to Livingstone, the gateway to Victoria Falls, Hwange and a Botswana safari! You can also fly directly to the tropical Vilanculous and Bazaruto Archipelago islands in Mozambique, and from there spend some time on a tropical beach creating the perfect bush and beach safari!